For many homeowners, the only time they’re aware of their garage door system is when something goes wrong. Few people pay attention to a door that works day after day - but when it starts squealing, shaking or slowing down, you'll quickly realize how important it is. Like any machine, garage door systems require regular upkeep and attention throughout their working life. It’s important to make sure your door gets this, or may find that your door ends up with a shorter service life than it ought to have. This is perhaps the easiest job, and one that goes a long way. Over time, dirt and grime will build up along the tracks and moving surfaces of your door system. This dirt naturally increases friction, meaning the door has to work harder when it moves, increasing wear on your opener and the rest of the system. Take a little time to clean out these areas with an old toothbrush and a rag - you can use brake pad cleaner to shift persistent oily patches. All moving parts need lubricant to ensure they operate smoothly. But lubricant will run dry over time, meaning it needs regular replenishment. Check the rollers, hinges and drive of your door system to ensure they’re properly lubricated. You can also apply a little to the torsion and extension springs, it will help to protect them against corrosion, as well as reduce wear and tear. Be sure to use an appropriate product such as white lithium grease or silicone spray. Cleaning and lubricating your door will go a long way towards extending its service life. For more complex matters, it’s best to contact our team and set up an appointment. We’ll be able to assist with things like balancing the door tension, adjusting safety sensors, and checking for any signs of wear or damage. Our team always carries replacement components with them, meaning you won’t need to wait around if we find a damaged part - we can usually swap it out there and then! Additional questions around looking after your system? 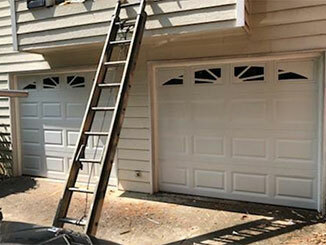 Contact our team at Garage Door Repair Cartersville for further advice!